We have a collection of ideas, whether you prefer more simple arrangements or more extravagant, we have checked off all the boxes. Have a look below and be prepared to be inspired! As always, we would love to hear from you. So please share in the Comments which one of these is your favorite and why! A formal and elegant centerpiece is created by using romantic rustic colors, surrounded by white candles. The green arrangement is set in silver vases. 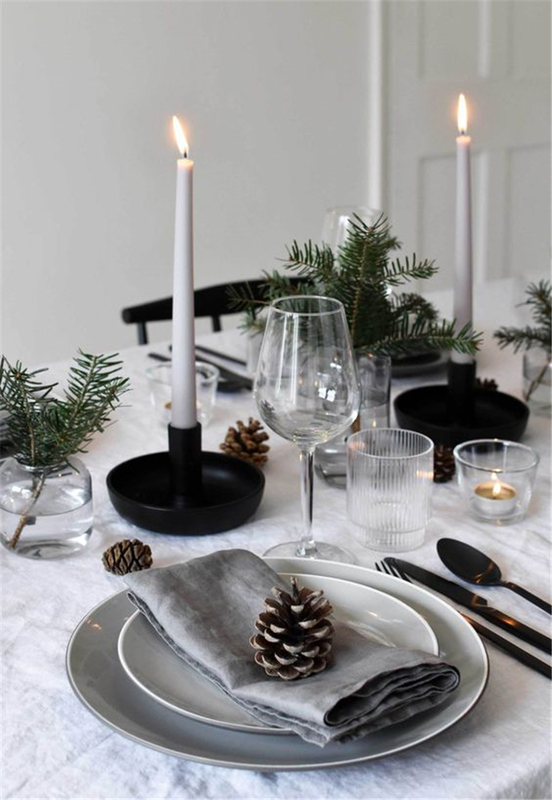 For texture and dimension, Mix in some sparkly ornaments, mini trees, beautifully textured candles for ambiance and sprigs of fir.Hope you will like my collections.